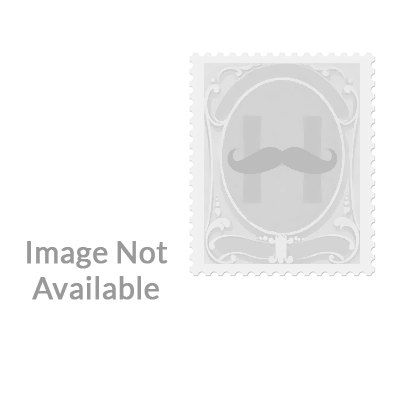 6021 listings found. Showing results 1 to 48. 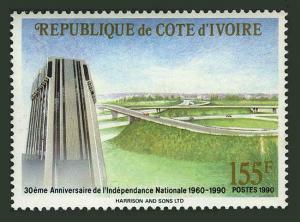 Ivory Coast 434-438,439 imperf,MNH. 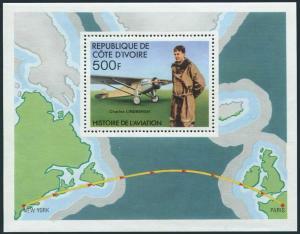 Charles Lindbergh solo flight,1977. Ivory Coast C19-C20,hinged.Mi 241-242. Street,Odienne;Village,Main region,1962. 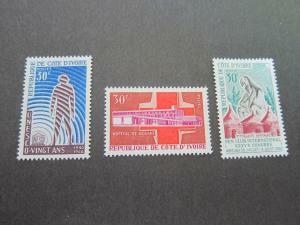 Ivory Coast C29,C29a,MNH.Michel 276,Bl.3. 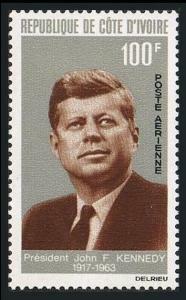 President John F.Kennedy.1964. 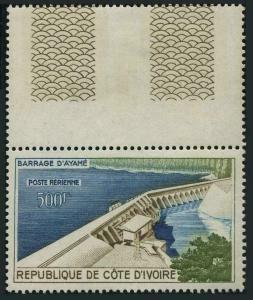 Ivory Coast C58,MNH.Michel 452. 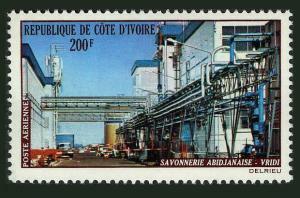 Vridi Soap Factory,Abidjan,1974. 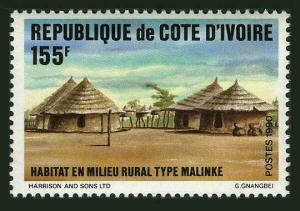 Ivory Coast C61,MNH.Michel 487. 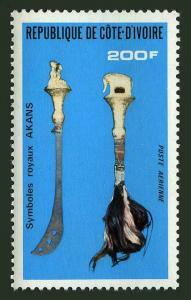 Symbols of Akans Royal Family,1976. 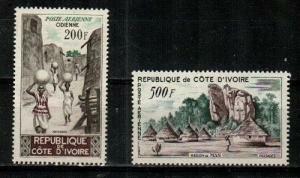 Ivory Coast C22-C24,hinged.Michel 248-249,255. Air Post 1963.Landscapes.Bridge. 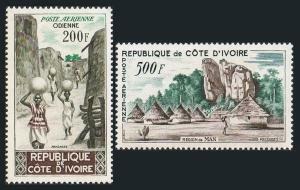 Ivory Coast C19-C20,MNH.Michel 241-242. Street,Odienne;Village,Main region,1962. 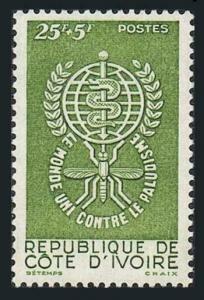 Ivory Coast C40a,MNH.Michel Bl.4. PHILEXAFRIQUE-1969.San Pedro,Costume,Hall. 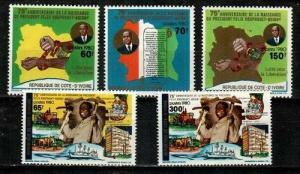 Ivory Coast C46 imperf,MNH.Michel 388B. Bondoukou Market.Independence,11th Ann. 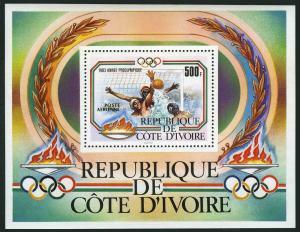 Ivory Coast C37/label,MNH. PHILEXAFRIQUE-1969.Street in Grand Bassam,by Achalme. 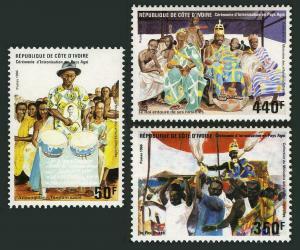 Ivory Coast C80,MNH.Michel 791 Bl.25. 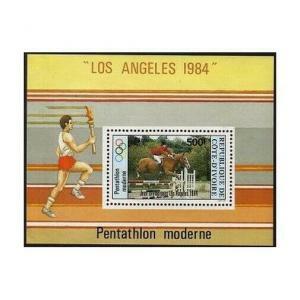 Olympics Los Angeles-1984.Water Polo. 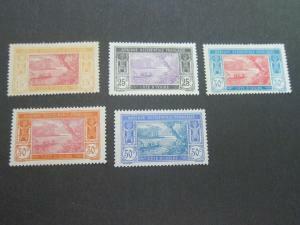 Ivory Coast C46 imperf block/4,MNH-gum.Mi 388B. Bondoukou Market.Independence. 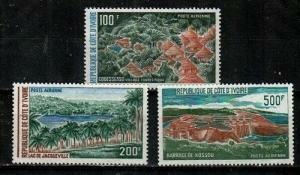 Ivory Coast C71-C75,MNH.Michel 772-776. 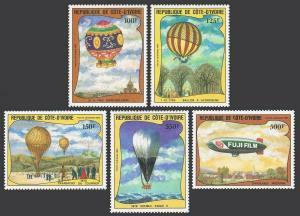 Manned Flight,200,1983.Various balloons. 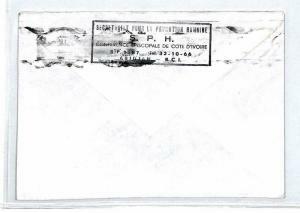 Ivory Coast C63 isheet,CTO.Michel Bl.8. Zeppelin,1977.Graf Zeppelin LZ 127. 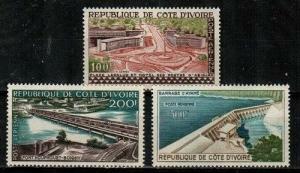 Ivory Coast C27,MNH.Michel 264. UNESCO campaign:Monuments in Nubia,1964. 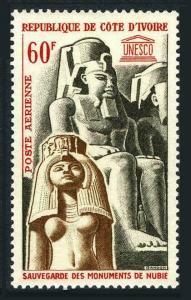 Ivory Coast C110-C113,MNH.Michel 950-953. 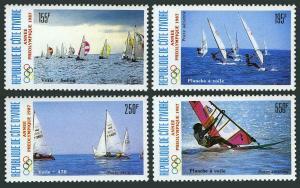 Olympics Seoul-1988.Sailing sports. Ivory Coast C14-C16,hinged.Mi 207-209. Air 1959.Lapalud Place,Bridge,Ayame Dam. 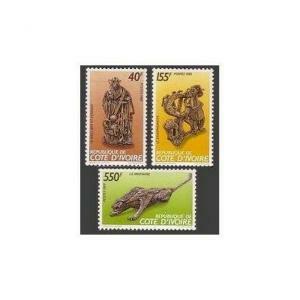 Ivory Coast C14-C16,MNH.Michel 207-209. Air 1959.Lapalud Place,Bridge,Ayame Dam. 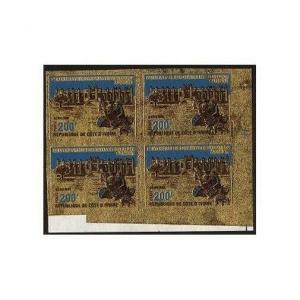 Ivory Coast C21,MNH.Michel 244. 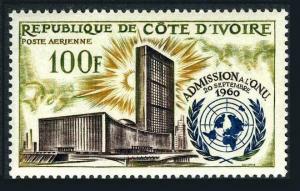 Admission to UN,2nd Ann.1962.UN Headquarters. 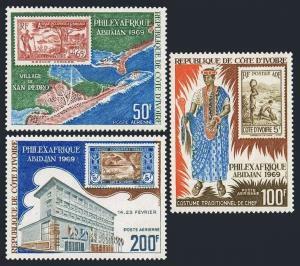 Ivory Coast C18,MNH.Michel 238. 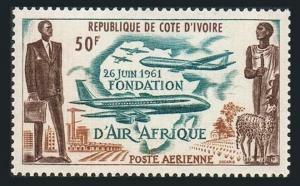 Air Afrique 1962.Plane,Map,Sheep. 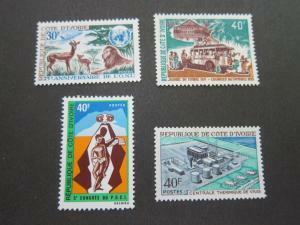 Ivory Coast B15,MNH.Michel 239. WHO drive to eradicate Malaria,1962. 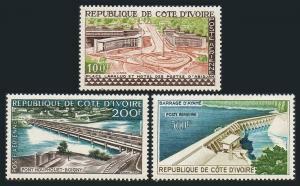 Ivory Coast 895,MNH.Michel 1024. 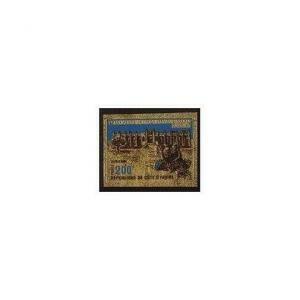 Independence,30th Ann.1990. 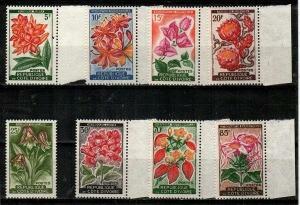 Ivory Coast 948,MNH.Michel 1107. 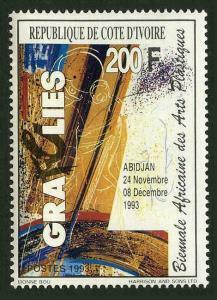 African Biennial of Plastic Arts,1993. 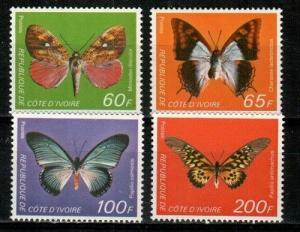 Ivory Coast B16,MNH.Michel 246. 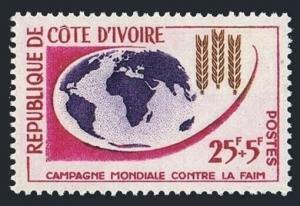 FAO Freedom from hunger campaign,1963. 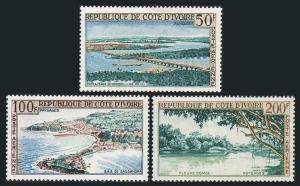 Ivory Coast C85,MNH.Michel 816 Bl.26. 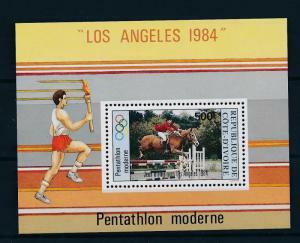 Olympics Los Angeles-1984.Equestrian. 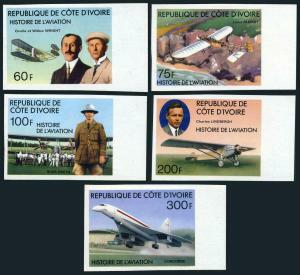 Ivory Coast 889,MNH.Michel 1018. Rural Village,1990. 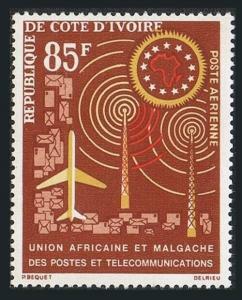 Ivory Coast 799-801,MNH.Mi 925-927. Enthronement of a Chief,Agni District,1986. 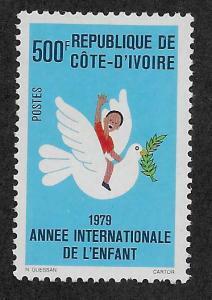 Ivory Coast C25,MNH.Michel 250. 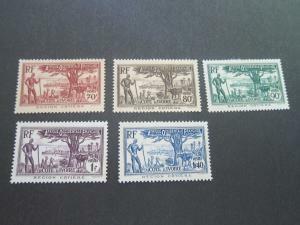 UAMPT - African Postal Union,1963. 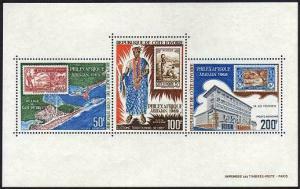 Ivory Coast 884,MNH.Michel 1009. 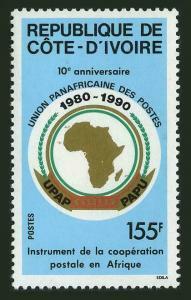 Pan-African Union,10th Ann.1990. 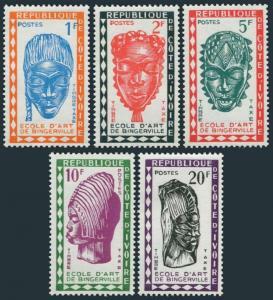 Ivory Coast 439,MNH.Michel Bl.7. History of Aviation,1977.Charles Lindbergh.